Everything on social media can seem like a fairy tale world where everything and everyone looks perfect. But, the truth is, having a basic understanding and reliable tools for photography is how you can take beautiful photos like many Instagram models you see when you’re scrolling. I am no photographer, but as a blogger and content creator taking quality photos is very important. So, I decided to invest in tools that would help me take better photos. It’s definitely worth the investment! Especially if you don’t have the cash to invest in a professional photographer, want to start photography as a side hustle, or need lots of photos all the time (bloggers/social media managers). Stock photos are great, but when you want something specific, having your own setup is nice. Camera – If you are unable to acquire any of these objects, I’d say to invest in the camera first. 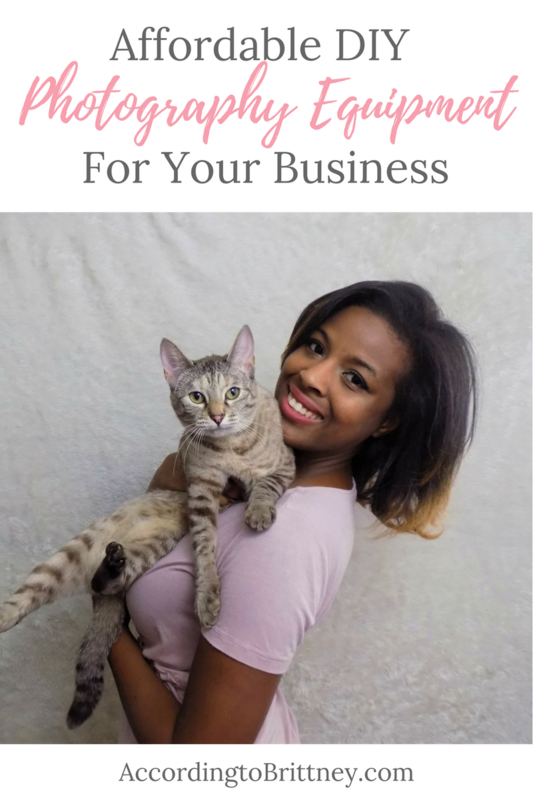 This is the key to taking lovely photos for your business. I had the fortune of being gifted this Nikon Coolpix L340. This bridge camera (In between a point and shoot/DSLR) is very affordable at $160. This camera has a great zoom and wonderful quality video. I’ve noticed with pictures, this camera requires lots of good lighting and not a lot of movement for a good photo. Tripod – I’m very happy to have an #InstagramHusband who will (sometimes unwillingly) snap a picture of me when the light is hitting perfectly and the background is on point. But, sometimes a girl has got to do things on her own. That’s why I picked myself up a tripod for the many times when my boyfriend isn’t available or just getting on my nerves (#Almost6Years). You can find tripods on the cheap! I picked one up by chance that was less than $20! Click the pic to head to Amazon to get it for $10! Photography Light – If you aren’t making sure you’re lighting is on point, why are you even taking the picture? Grab yourself a light! I got this Limostudio light for under $30 and it transforms every picture and video I take. Even when you think you have good lighting, add a light. Trust me. I got mine from Amazon (click the pic below). Backdrop – I got this as another gift for being awesome, but just took some fabulous pics with it (including the blog image). As cute (or not) as our homes are, a solid background keeps your subject in focus as the main event in the image. I will admit that these can be a little bit of pain to set up, but can really make a photo pop! Light Box– A light box helps you take gorgeous product pictures. You always want your images to be good quality when working with brands or displaying your own products! I love this because it even has a whole in the top for flaylay images! A flatlay image is one that is taken above and is usually a white background with different accents and accessories. Using this will transform your product shots! Canva – Canva is literally a life saver. If you’re not using it, you might just be crazy. You can add anything to your photos using this tool! Text, illustrations, shapes, and much more! Liven your photo up a little by adding a quote or a crown to show you and your cat are a queen like this promo image for my Content Queen guide. Adobe Photoshop – I use photoshop when I really want to edit a picture to make it look its best. There is no better tool for photo editing. Also, it’s not as pricey as you probably think it is. You can get it for $10 a month which is affordable and absolutely worth it! Windows Photos– If you’re looking for something less in depth, I use a simple Windows editor that comes with every PC! Sometimes, we underestimate free tools that are right at our finger tips. I’m always for saving money, time, and good quality. As long as you don’t go too extreme, you can see some pretty good results with this tool. Hootsuite – My heart beats for Hootsuite! It has made my life so much easier! If you’re posting on your page manually everyday, you are wasting time! Instead spend a couple hours scheduling out weeks of posts at a time. Plus, with three accounts free, you have no excuse! Start using this tool right away! Later – I’m growing fond of Later. I’ve used Hootsuite for everything, so I was a little weary of trying something new. However, I love the media library tool! I just dump my loads of content in there and it sorts through my used and unused images! I’m still learning the tool, but so far it’s been pretty great! Ever since I started blogging, I’ve gained an interest in photography because I love having great photos! What equipment have you found that helps your picture quality?